At the top of every serious fisherman’s list is a trip to Cape York and “The Gulf”. Comprising the whole tip of Queensland, from Cairns to Karumba, you’ll find rivers, tidal estuaries and off shore locations teeming with fish. A road trip offers the best chance to see the sights along the way, and get up close to the action. In this part of the world, you’ll catch mangrove jack, barramundi and cod in the estuaries and rivers; flathead, trevally, mackerel and queenfish from the beaches; and Spanish mackerel, trevally, barracuda, cod and coral trout around the reefs and islands. Great value accommodation can be found in towns and National parks throughout the region. From caravan parks and tourist accommodation in Cooktown and Weipa, to roadside camping as you travel through the Cape, be sure to check out Tourism Queensland’s website Tourism Cape York to find the right spot to base yourself for some serious fishing action. Located just off Brisbane, a Stradbroke Island fishing trip is on the “one day we’ll get there” bucket list for many city fishermen. With holiday houses, caravan parks and beach camping available, all types of adventurers can find something to suit their bucket list trip, whether it’s for a week or just a long weekend. From the beaches, you can catch tailor, bream, flathead and whiting. If you’ve brought the boat it’s even possible to catch marlin, wahoo and mackerel on the ocean side of the island. From the Moreton Bay side, you may also catch snapper, Jew and sweetlip. Hervey Bay and Fraser Island are perfectly located midway up the Queensland coast, boasting crystal clear waters and mid-range temperatures perfect for fishing. Accommodation in Hervey Bay ranges from backpacker lodges, right through to 4 star resorts. From the beach and foreshore, you can catch tuna, trevally, flathead and kingfish. The more adventurous angler can head out on a boat and throw a line in to have a go at catching Red Emperor, cobia, snapper, coral trout, whiting, barramundi, bream and many others. Unique in Queensland because of its sand formations and rainforest proximity, Fraser Island has accommodation available from 5 star resorts through to holiday houses and national park camping. All fishing on Fraser Island is ocean fishing only. For safety, be aware of the dingo behaviour policy in place, and adhere to any directions from rangers. It is possible to catch tuna, marlin, tailor, dart, bream, mackerel, and even sharks from Fraser Island. Visit the Discover Hervey Bay website for more information on both these locations. One of the most popular fishing spots in Queensland, Lake Somerset is easy fishing for the angler who wants a catch every time he throws in the line. Well-stocked with Australian bass, golden perch, silver perch, cod, gar, catfish, grunter and tilapia (which must be destroyed) Lake Somerset offers fishing off the banks, as long as you’re outside of designated swim areas. You can also put a powered or non-powered boat in and experience the deeper water fishing away from shore. Camping at Lake Somerset is in the designated campground, with powered and unpowered spots available all year round. Known as the inland fishing capital of Queensland, St George is river fishing at its finest. The caravan park, with camping and cabin facilities, is located across the road from the river that meanders its way through town. Throw a line in from the banks, or head to the boat ramp and put a boat in to have a go at catching the elusive cod, yellowbelly or silver perch. You can also head a short distance out of town to Beardmore Dam for a different experience. Several fishing competitions in the area over the course of the year can add to the experience if you’re the competitive type. 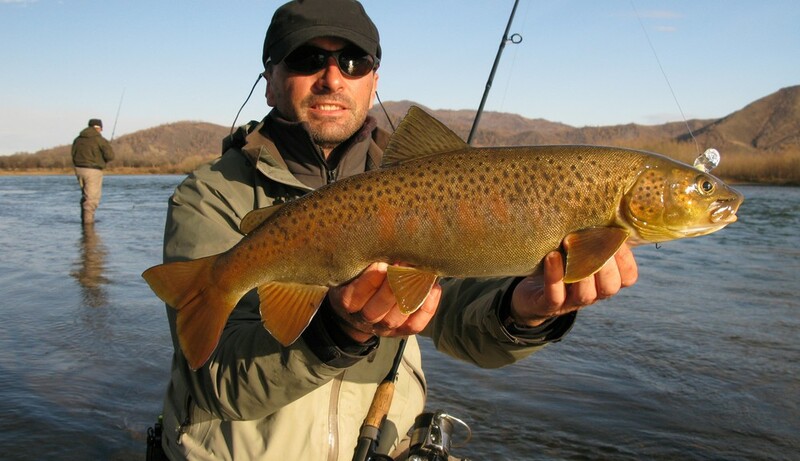 If not, enjoy the relaxing river life at this quieter fishing haven. If you’re serious about experiencing everything Queensland has to offer the fishing enthusiast, make plans today for your next trip one of these five spectacular locations. With great weather most of the year and so many possibilities for exploring the great outdoors, fishing trips in Queensland never disappoint. Need expert advice on boating equipment or an aluminium boat trailer for your tinnie for your next fishing trips in Queensland? Visit Almac Trailers today.